By its decision on June 12, the Environmental Council in Vienna has approved the ski area expansion of the Schmittenhöhebahn. This comes as a surprise, especially after the project has been already approved the government of Salzburg last year. 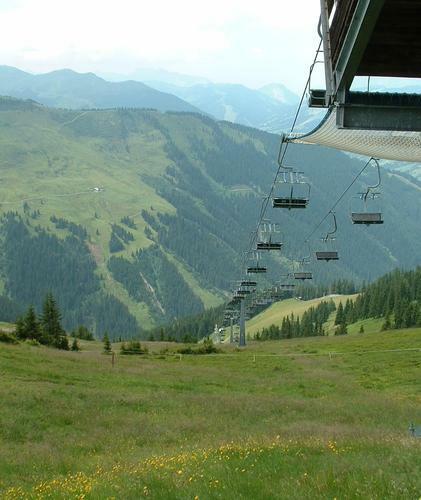 The Hochsonnberg project would be connecting the existing ski lift network Schmitten (Zell am See) with Piesendorf by way of four new ski lifts. New ski slopes and parking lots would be created to relieve the heavy traffic around the Zell lake. The investment would include purchasing of new snow machines as well. The Environmental Council pointed out that it acted according to Nature Conservation Act. “The ski area expansion for the entire region would be crucial. We are very disappointed that the Council has canceled the environmental permit. This is a setback for the Schmittenhöhe and the development of ski tourism in the province of Salzburg, “said Eric Egger, CEO of Schmittenhöhebahn AG in Zell am See, commenting the negative decision by the Environmental Council. According to him, the company has submitted a ski resort project focusing on nature and environment protection. The question is how the future developments of ski resorts elsewhere in Austria will continue and whether the province of Salzburg, heavily depending on tourist income, can afford to take such conservative decisions at all. The Schmittenhöhebahn AG is the oldest cable car company operating in the province of Salzburg. More than eight decades ago, on 31 December 1927, the Schmittenhöhebahn became the first operating cable car in Salzburgland. The network of lifts on the Schmittenhöhe, the mountain above Zell am See, has been continuously expanded ever since – for example the construction of Kettingbahn and Areitbahn. The company currently has 26 lifts and cable cars with around 77 kilometers of ski runs. In 2001 Schmittenhöhebahn AG shipping Zell took over the exploitation of the Zell lake traffic from the township and expanded its services to cruise ship operations with MS Schmittenhöhe.